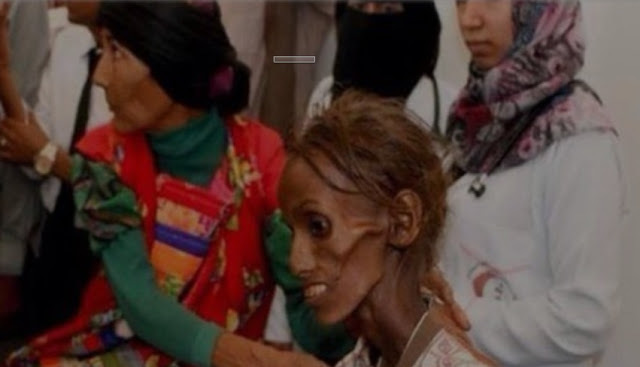 BUTLINCAT's BLOG: THE UNSPEAKABLE AND DISGRACEFUL GENOCIDE OF AN ENTIRE NATION: "YEMEN: US GRANTS APPROVAL FOR GENOCIDE" + "Yemen Crisis: Why is there a War?" THE UNSPEAKABLE AND DISGRACEFUL GENOCIDE OF AN ENTIRE NATION: "YEMEN: US GRANTS APPROVAL FOR GENOCIDE" + "Yemen Crisis: Why is there a War?" Note: Thirty-three members of Congress signed a bipartisan letter calling on Secretary of Defense James Mattis to stop a disastrous military assault by Saudi Arabia and the United Arab Emirates on Hodeida, Yemen’s major port city. In the letter, Members called for the U.S. to reject providing logistical, military, and diplomatic support for the Saudi-led coalition’s operation, as well as to disclose the full scope of the U.S. involvement in the Saudi-led war. Even before the war Yemen imported 90% of its staple food. 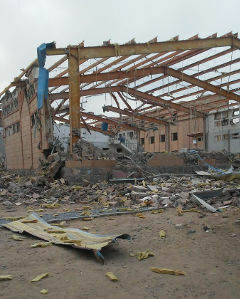 Three years of Saudi/UAE bombing have destroyed local infrastructure and production. 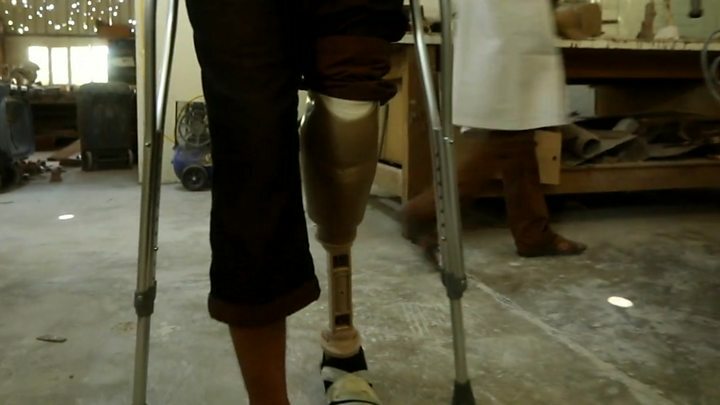 The ongoing war has already caused mass starvation and the outbreak of a large cholera epidemic. The Yemeni coast is under blockade by Saudi and U.S. naval forces. The only supplies coming in are UN and commercial deliveries through the Red Sea Hodeidah port (Al Hudaydah on the map). The United Nations was withdrawing its staff on Monday from the besieged Yemeni port city of Al Hudaydah, after member countries were told that an attack by forces led by the United Arab Emirates was imminent, according to two diplomats briefed on the matter. The International Committee for the Red Cross removed its staff from the city over the weekend. Diplomats in the region say they believe that only more pressure from Washington will stop the planned assault. NRC has provided all relevant parties to the conflict, including the Saudi-led Coalition, with details and coordinates on our operations in order to ensure the safety of our staff. It would be easy for the Trump administration to stop the UAE attack. U.S. special forces are on the ground in Yemen working closely with UAE forces. U.S. planes are refueling the Saudi and UAE bombers. U.S. intelligence is used in the targeting process. The U.S. supplies the bombs. Without U.S. air-to-air refueling there would be no air-support for the UAE fighters on the ground. They would be unable to launch their attack. The Saudis see the Zaidiya as an impediment of their influence in Yemen. They want to control the Yemeni government. The Emirates want to control the port of Aden and Yemen’s the oil and gas loading facilities. The Obama administration supported the Saudi onslaught on Yemen to buy Saudi acquiescence with the nuclear deal with Iran. The Trump administration supports the Saudi/UAE war out of lack of knowledge. It has fallen for the Iran myth. It also wants to sell more weapons. Millions of kids and grown ups will have to pay for this with their lives. 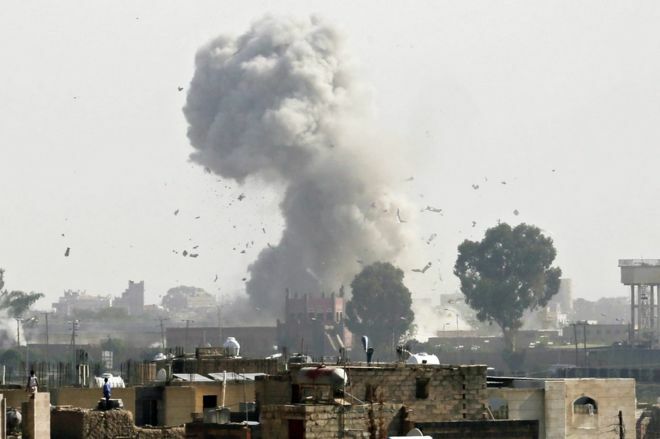 The conflict has its roots in the failure of a political transition supposed to bring stability to Yemen following an Arab Spring uprising that forced its longtime authoritarian president, Ali Abdullah Saleh, to hand over power to his deputy, Abdrabbuh Mansour Hadi, in 2011. As president, Mr Hadi struggled to deal with a variety of problems, including attacks by jihadists, a separatist movement in the south, the continuing loyalty of security personnel to Saleh, as well as corruption, unemployment and food insecurity. 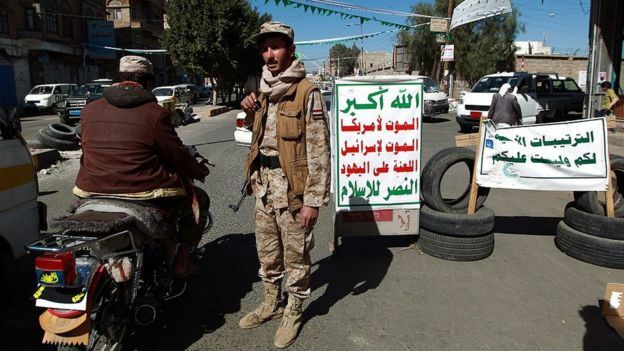 The Houthi movement, which champions Yemen's Zaidi Shia Muslim minority and fought a series of rebellions against Saleh during the previous decade, took advantage of the new president's weakness by taking control of their northern heartland of Saada province and neighbouring areas. 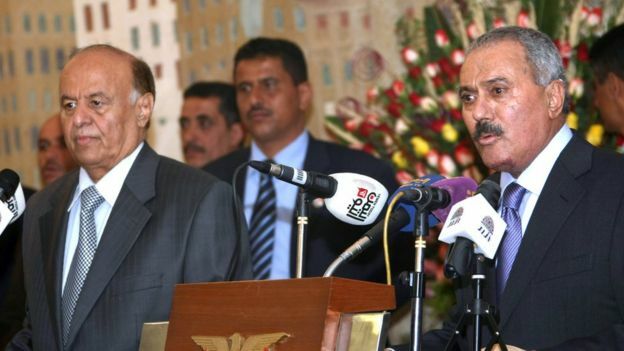 The Houthis and security forces loyal to Saleh - who is thought to have backed his erstwhile enemies in a bid to regain power - then attempted to take control of the entire country, forcing Mr Hadi to flee abroad in March 2015. 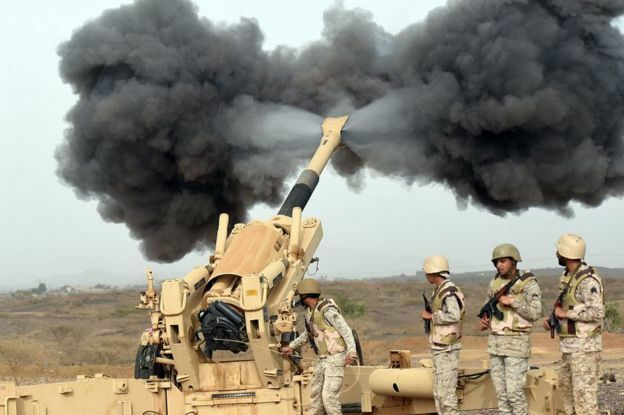 Alarmed by the rise of a group they believed to be backed militarily by regional Shia power Iran, Saudi Arabia and eight other mostly Sunni Arab states began an air campaign aimed at restoring Mr Hadi's government. The coalition received logistical and intelligence support from the US, UK and France. 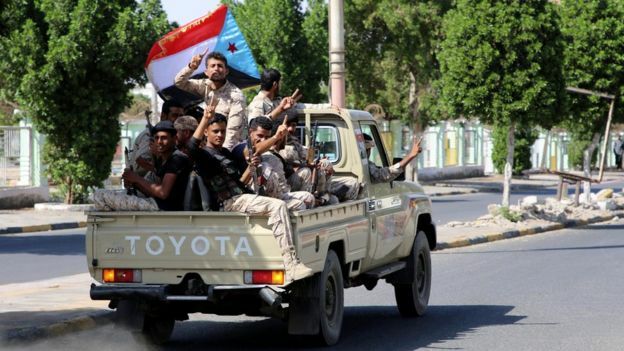 Coalition ground troops landed in the southern port city of Aden in August 2015 and helped drive the Houthis and their allies out of much of the south over the next few months. Mr Hadi's government has established a temporary home in Aden, but it struggles to provide basic services and security and the president remains in exile. The Houthis meanwhile have not been dislodged from Sanaa, and have been able to maintain a siege of the third city of Taiz and to fire ballistic missiles across the border with Saudi Arabia. 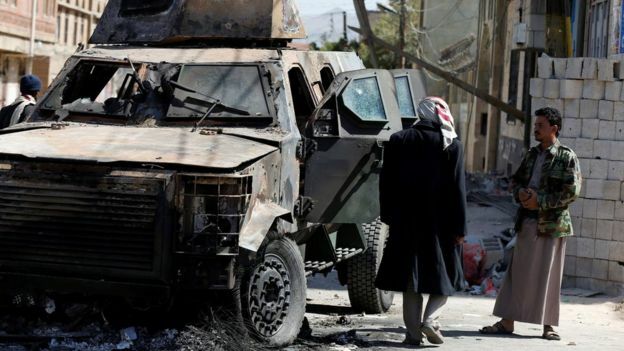 Militants from al-Qaeda in the Arabian Peninsula (AQAP) and the local affiliate of the rival Islamic State group (IS) have taken advantage of the chaos by seizing territory in the south and carrying out deadly attacks, notably in Aden. The coalition said it wanted to halt the smuggling of weapons to the rebels by Iran - an accusation Tehran denied - but the restrictions led to substantial increases in the prices of food and fuel, helping to push more people into food insecurity. In June 2018, the coalition attempted to break the deadlock on the battlefield by launching a major offensive on the rebel-held Red Sea city of Hudaydah, whose port is the principal lifeline for almost two thirds of Yemen's population. UN officials warned that the toll in lives might be catastrophic if the port was damaged or blocked. But months passed before the warring parties could be persuaded to attend talks in Sweden to avert an all-out battle in Hudaydah. In December, government and Houthi representatives agreed to a ceasefire in Hudaydah city and port and promised to redeploy their forces by mid-January. What's been the human cost? In short, the situation in Yemen is, the UN says, the world's worst man-made humanitarian disaster. The UN says more than 6,800 civilians have been killed and at least 10,700 injured in the fighting since March 2015, with well over half of the casualties caused by Saudi-led coalition air strikes. An international group tracking the civil war believes the death toll is far higher. The US-based Armed Conflict Location & Event Data Project estimates that more than 60,000 civilians and combatants have been killed since 2016, based on news reports of each incident of violence. The UN's Emergency Relief Co-ordinator, Mark Lowcock, confirmed in December 2018 what he called "Yemen's descent toward famine". More than 20 million Yemenis - two thirds of the population - are food insecure. Ten million of them are severely food insecure - more than twice the number of four years ago. More than half of Yemen's districts have slipped into "emergency" conditions - one step below famine in the international classification. Almost two million children are currently acutely malnourished, which makes them more vulnerable to disease. The charity Save the Children estimates that 85,000 children with severe acute malnutrition may have died between April 2015 and October 2018. With only half of the country's 3,500 health facilities fully functioning, at least 16 million people are lacking basic healthcare. 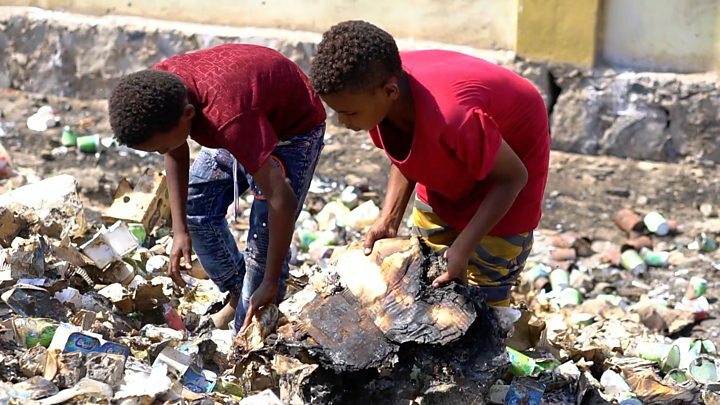 Medics have struggled to cope with the world's largest cholera outbreak, which has resulted in more than 1.2 million suspected cases and 2,500 related deaths since April 2017. The war has also forced more than 3 million people to flee from their homes, with 2.3 million still displaced. Why are there rifts among rebel and government forces? The alliance between the Houthis and Mr Saleh collapsed in November 2017 following clashes over control of Sanaa's biggest mosque that left dozens of people dead. Houthi fighters launched an operation to take full control of the capital and on 4 December 2017 announced that Mr Saleh had been killed. 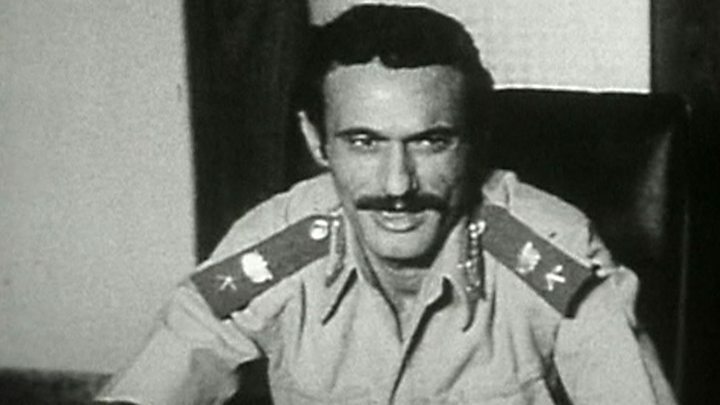 Only weeks later, infighting among pro-government forces erupted. Separatists seeking independence for south Yemen, which was a separate country before unification with the north in 1990, formed an uneasy alliance with troops loyal to Mr Hadi in 2015 to stop the Houthis capturing Aden. 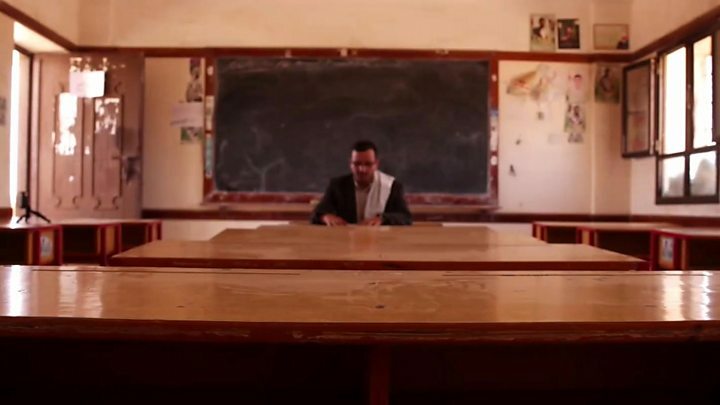 But in January 2018 the separatist movement known as the Southern Transitional Council (STC) accused the Hadi government of corruption and mismanagement, and demanded the removal of the prime minister. Clashes erupted when separatist units attempted to seize government facilities and military bases in Aden by force. The situation was made more complex by divisions within the Saudi-led coalition. Saudi Arabia reportedly backs Mr Hadi, who is based in Riyadh, while the United Arab Emirates is closely aligned with the separatists. 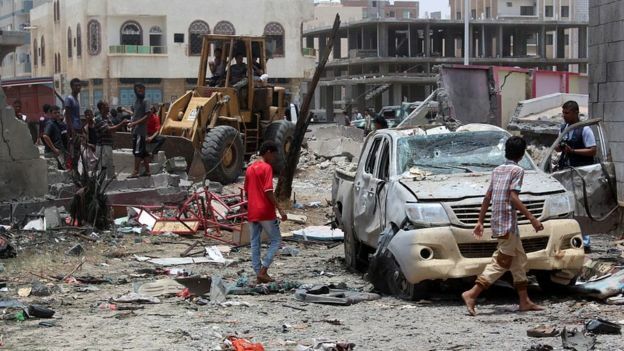 Calm was restored in Aden after a few weeks, but tensions between the two groups remain. In September, there were protests after separatist officials called for a peaceful popular uprising in the South. What happens in Yemen can greatly exacerbate regional tensions. It also worries the West because of the threat of attacks - such as from al-Qaeda or IS affiliates - emanating from the country as it becomes more unstable. The conflict is also seen as part of a regional power struggle between Shia-ruled Iran and Sunni-ruled Saudi Arabia. Gulf Arab states - backers of President Hadi - have accused Iran of bolstering the Houthis financially and militarily, though Iran has denied this. Yemen is also strategically important because it sits on a strait linking the Red Sea with the Gulf of Aden, through which much of the world's oil shipments pass. What does Islamic State want with Yemen?